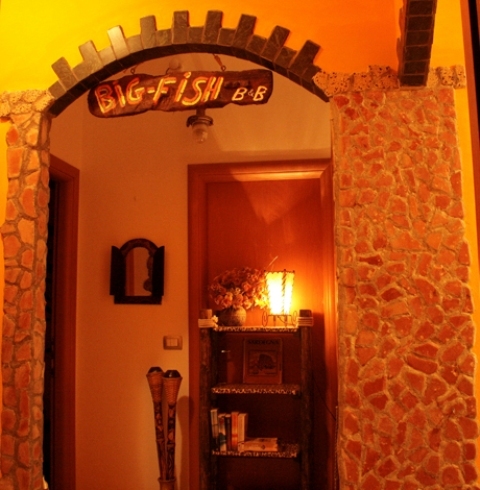 The B&B BIG FISH is a family-run facility located in the heart of the famous and historical town of Alghero, near all major tourist attractions and a bus station for the bus to the airport. In a walking distance you can find: the post office, supermarkets, restaurants, pizzerias, fast food stores and many other shops. 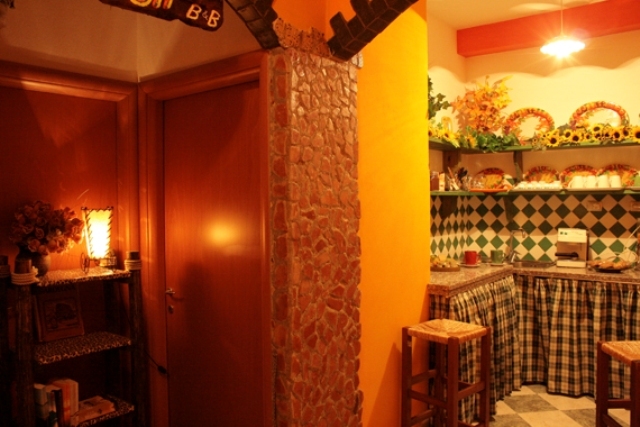 The B&B is also within walking distance from the sea and therefore easily reachable by walking! The beautiful and famous beaches: Le Bombarde, Lazzaretto and Golf of Porto Conte will charm you. 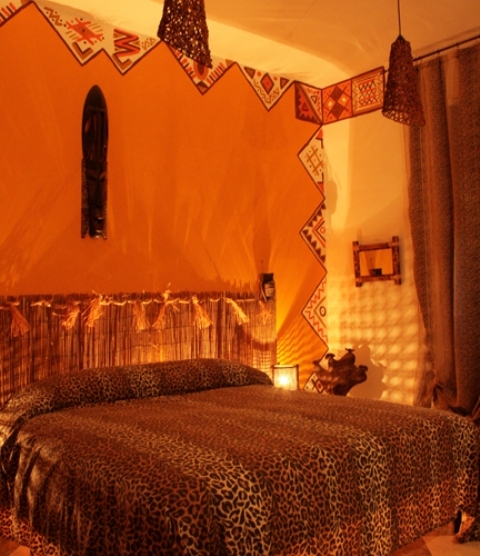 The B&B Big Fish is characterized by a very original dining area and rooms, which are air conditioned and comfortable, with double glazed windows, which are sound proof and offer a good heat/cold insulation. 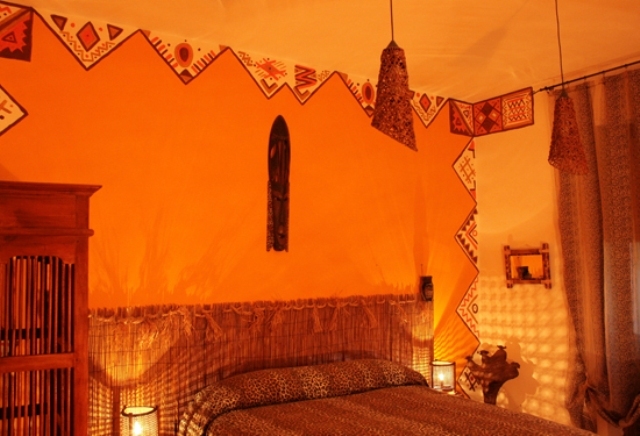 The rooms are therefore cool in summer and warm in winter! 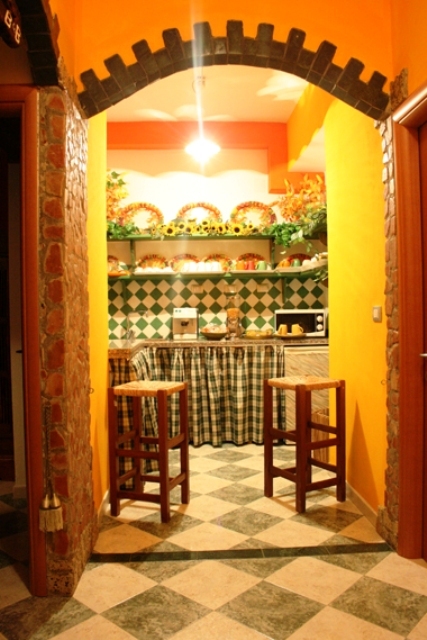 Breakfast is included (self service) and the kitchen is available 24 hours a day. The coffee machine is always ready for the preparation of delicious coffee, cappuccino, tea, herbal tea or hot chocolate. In addition, the kitchen consits of a microwave. The Italian breakfast usually includes a good coffee, cappuccino or tea with biscuits, croissants, Marmalade (Gluten free breakfast on request). Spoken languages: Italian, English, Spanish, Catalan. 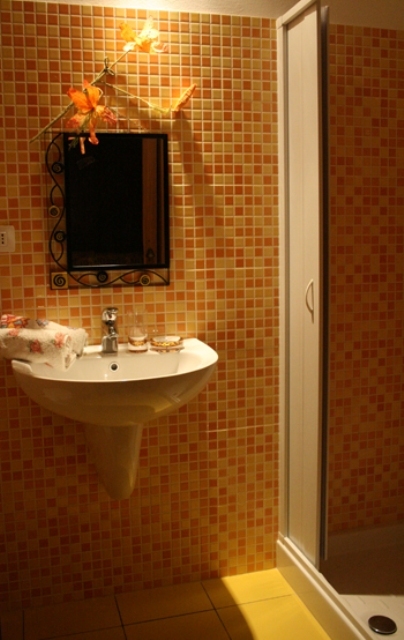 B&B Big Fish is located in the center of the city and close to the historic part of the city. The airport is 10 km from the city, connected by bus and taxi. From Alghero-Fertilia Airport: take SS127 BIS and follow directions to Alghero city centre. 10% of the total amount will be required by bank transfer or credit card at the time of booking. The balance amount will be settled on property. The balance payment should be done by cash only. 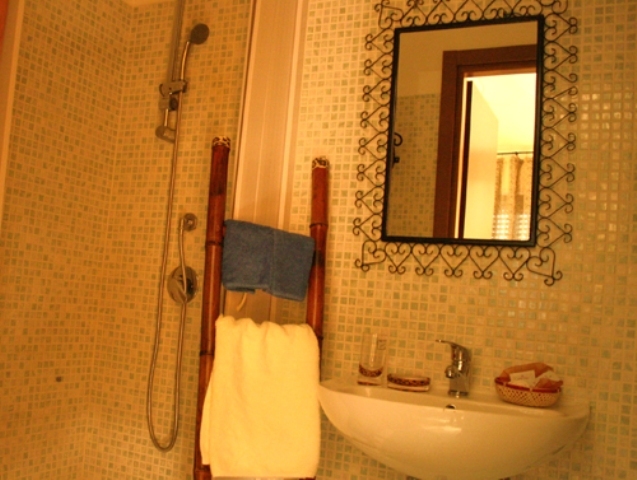 B&B Big Fish offers to its guests, without additional costs, bed linen and bath towels, complimentary toiletries (shampoo - shower gel), hairdryer and iron (on request). 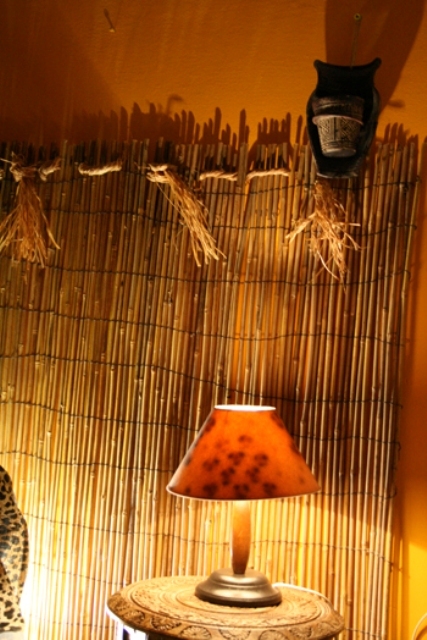 For the youngest guests, also without additional costs, cot and bottle-warmer. B&B Big Fish offers to its guests, without additional costs, beach towels and a sun umbrellas, so that the guests can enjoy a wonderful holiday in the pristine beaches of Alghero. The B&B does not have a 24-hour reception. 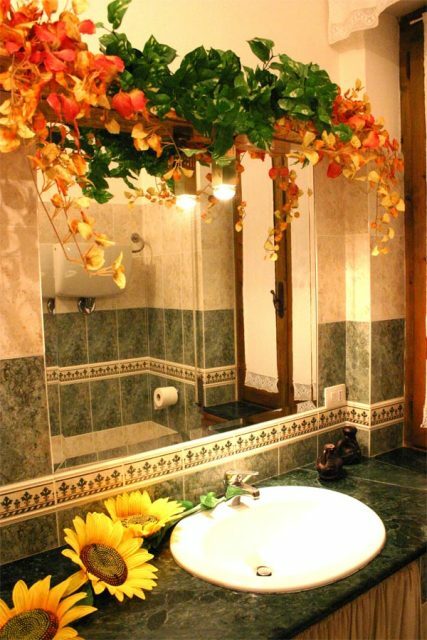 Therefore, the guests have to communicate by phone or e-mail their estimated time of arrival at least 24 hours before. Arriving at the property without a communication can cause waiting problems, which cannot be refunded.